She is Consultant in Bhartiya Vidya Bhawan, Usha & Laxmi Narain Mittal Institute Of Management (BULMIM), Lecturer with Delhi University, Lecturer CES College of Education, Visiting Counsellor at Kendriya Vidhalaya, Rohini, Visiting Lecturer of Psychology, Bal Bharti Public School Rohini, Visiting lecturer Tecnia Institute of Rehabilitation Studies – teaching educational psychology to D. Spl. Ed students, an IGNOU course. Visiting Psychologist at KIIT World school Secretory , NGO Anubhuti- Working for spreading public awareness towards environmental issues. · Conducted Workshop for blind youth on self-awareness and sexuality at ALL INDIA Confederation for the Blind, in 2005-06. · Conducted a series of Workshops on Personal Growth & Development at BULMIM. · In sept 2007 addressed the annual Kent Memorial Lectures Organised by South Delhi Homeopathy Association at PHD House on Depression. · Appeared Live on MH One News Channel as Counsellor On 1 March 2009 for anxiety & stress management in children appearing for their Board Examinations. · In August 2009 conducted workshop on techniques for enhancing attention and concentration and improving comprehension and memory. · In august 2009 addressed the monthly CME of the South Delhi Homoepathy Association at Nehru College of Homoepathy, on Destressing & Yoga. · In Dec 2009 contributed in capacity of a resource person for HIV/AIDS awareness camps for DISHA FOUNDATION. 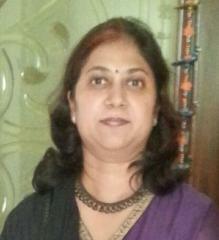 · Resource person for teacher training programs for several reputed schools of Delhi.
. Currently Organizing workshops for adolescents on life skills, parenting workshops for parents of young children, adolescents and children with special needs.